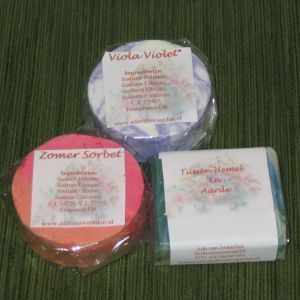 Ada of Dutch Knitting sent me three lovely soaps that make my bathroom smell all summery. Tina of Ulltopia came to visit on Friday and brought two gifts. We had fun knitting, catching up, sipping tea, discussing knitting, crafts and SCA. The tea has cracked rosé pepper that give it a little bite. Yum! I've never had tea with pepper before and I wouldn't have thought of the combination myself, or dared to buy it. Thank you, Tina! 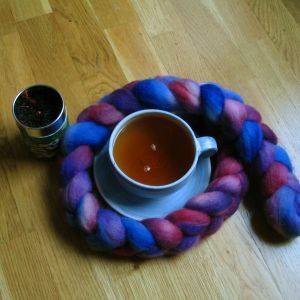 I haven't tried to spin the wool yet, I must finish the Christmas gift knitting first, but it looks scrumptious. I am sure it is as delightful to spin as it looks.